Big changes are underway at Compass. We have shortened our brand name from Compass Compression, to Compass, and refreshed our logo. Why go through the trouble of changing our recognized name in the industry? The answer is simple. As we expand into the gas processing market, we required a name that better represents who we are today and not just where we came from. 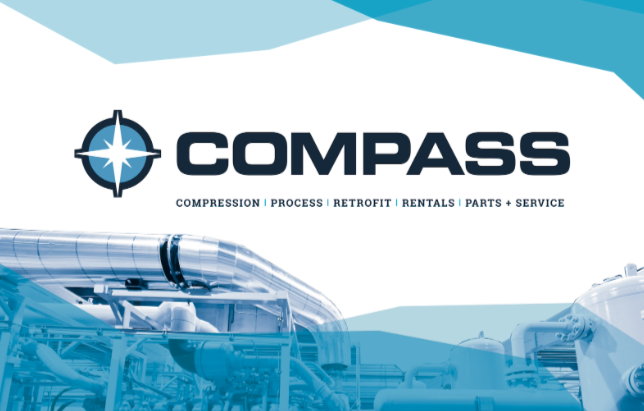 The new legal name is Compass Energy Systems Ltd., which represents the 5 business divisions within Compass: Compression, Process, Retrofit, Rentals, Parts and Service. Widened Company Focus, Means Good Things Of Course! Our integrated solutions for both compression and process packaging can optimize the performance and quality of your equipment while making it faster and easier to purchase from one supplier. Compass strives to maintain its status as one of the most capable and customer-focused options for compression and gas processing customers.